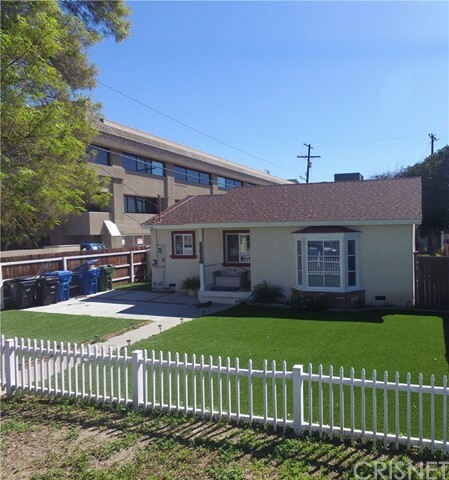 All Canoga Park homes currently listed for sale in Canoga Park as of 04/19/2019 are shown below. You can change the search criteria at any time by pressing the 'Change Search' button below. 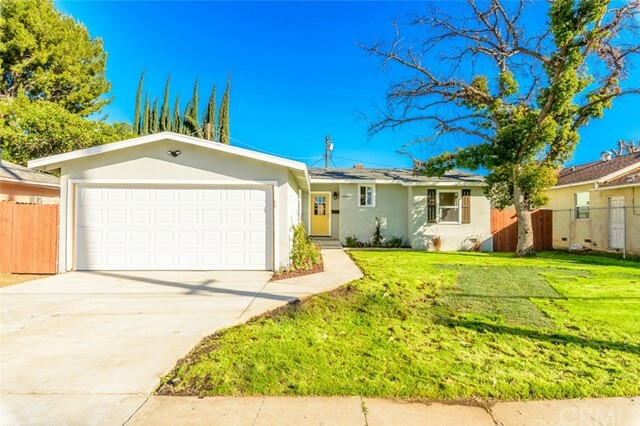 If you have any questions or you would like more information about any Canoga Park homes for sale or other Canoga Park real estate, please contact us and one of our knowledgeable Canoga Park REALTORS® would be pleased to assist you. "Potentially a Commercial Office building or 3 story, 45' high apartment building." 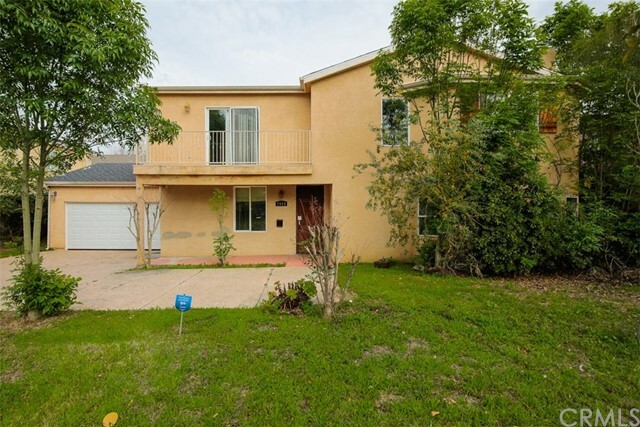 "Spacious, Bright 5 bedrooms 4 Bath home built in 2002 w/ Solar Panels which saves you money. Beautiful living room with high ceiling, den with cozy fireplace & a gourmet kitchen with new stainless steel appliances. There is a bedroom with a full bath located downstairs; 4 bedrooms & 3 Baths are located upstairs. The over sized Master bedroom has high ceiling w/ 2 walking closets & its own private bath. New storage shed in the large backyard with room for a pool & plenty of space to entertain your guests. Beautiful home with too many features to list; must see to appreciate!" 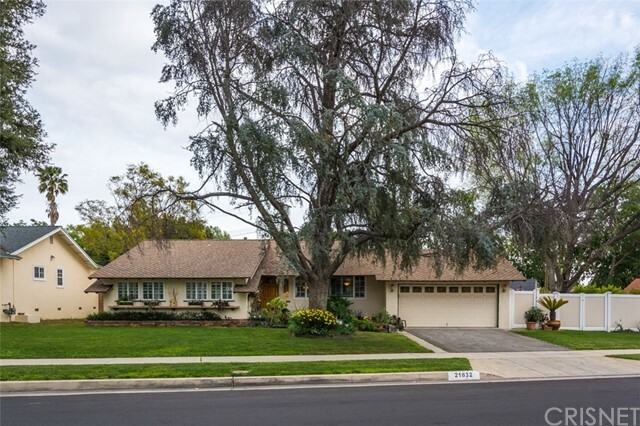 "Nestled between Canoga Park and Woodland Hills and just blocks away from charming Westfield Topanga Village, this light and airy property is an entertainers dream with high-end finishes and upgrades, offering an open floor plan complete with cozy family room adjacent to a spacious living room. With 1800 square feet of living space, this three bed, two bath house includes a master suite with unique, custom finishes. The guest bath features a large, dreamy shower with dual shower heads. The open-concept kitchen has all new stainless steel appliances, an abundance of cabinet and counter space, and is adjacent to a large separate laundry room. This property's systems have all been completely upgraded; the entire house and garage have been rewired with an upgraded electrical panel, the plumbing in the kitchen, laundry room and bathrooms have been redone, the HVAC system is brand new and under warranty, and the new flooring is under a 25 year warranty." 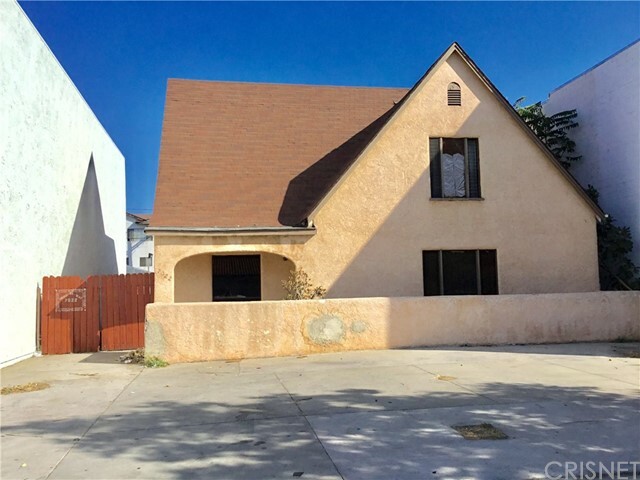 "This two story single family residence features five bedrooms and four baths with two car attached garage. Covered porch. Upstairs balcony. Living room entrance with dining combo. Hardwood-like flooring. Open kitchen with plenty of cabinet space. Family room with fireplace. Master bedroom and bath with separate tub/shower. Carpet in bedrooms." "This beautiful home is located inside a gated community at the quiet end of a cul-de-sac with only 7 other homes. Large master bedroom with a fireplace and a large closet. Gorgeous kitchen with granite counter top that is open to the family room with a fireplace. Large open windows with plenty of sunlight." "Great corner property on a 9,150 sq. ft. completely fenced lot. Very private and secure. 1,630 sq. ft. of living space. 2-car detached garage. Gated entrances on both sides of the street. This huge lot is perfect for your cars, trucks and toys, and big enough for future expansion and/or development. 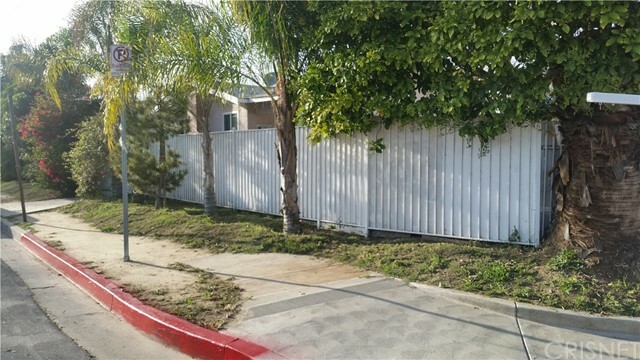 Close to Pierce College, schools, shopping and transportation." "Great opportunity for corner lot duplex with long term month-to-month tenant. Each unit is 752 SF, 2+1. Convert to a single family residence, or live in one and rent out the other. Or may be able to build 6-unit apartment building (like the one across the street). Call agent for details & showings -- please do not disturb occupant. Current rent is $1,596.50 per unit." "Welcome to this practically new home with permitted additions, and a bonus room behind the detached garage ready for the buyer to create an ADU. The main house has all new exterior with dual pane windows and sliding glass door. The front porch provides formal access through the leaded glass front door to a large living room. This open concept home can be arranged to meet your needs. The recently installed kitchen has a large island with storage, built in appliances, engineered marble look counters, and stainless steel appliances. There is indoor laundry service adjacent the livining rooms and a master suite with private bathroom. The rear bedroom has a sliding glass door out to the rear patio and yard. The security gated property has an electric front gate and a 97 foot long concrete driveway for plenty of off street parking. There are grass yards in the front and rear. The 13 by 12 bonus room behind the garage is currently used as a home office and storage space. The garage has a roll up garage door with automatic opener, and is drywalled inside and has dual pane windows for easier conversion to living space. This property is loaded with possibilities. 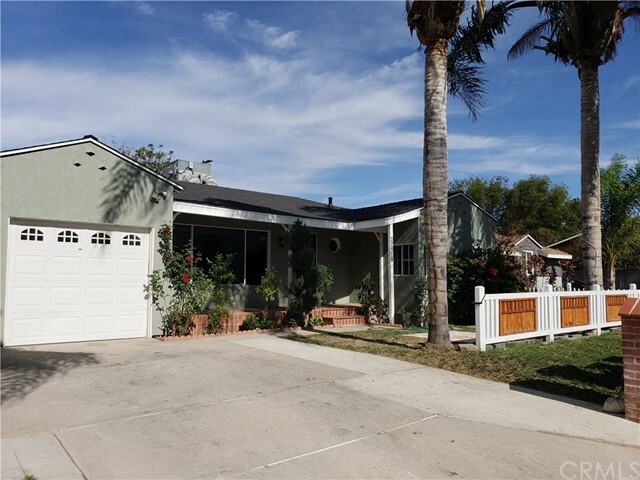 The terms of the sale will be subjet to the existing lender approval of a short sale"
"Welcome to This Tastefully Remodeled High-Quality Craftsman Style Home in the Beautiful City of Canoga Park. This Ideal Open Concept Layout Large Home Features new tile & laminated flooring, Brand New Complete Roofing, Brand New Complete Interior & Exterior Paint, New Lighting, in Garage Laundry Area, Newly Remodeled Bathrooms, Central A/C & Heating, Spacious Open Concept Living and Dining Room With a Gorgeous Fire Place, which leads to the Beautiful Remodeled High-Quality Kitchen with Appliances & Quartz Counter Tops. The Master Bedroom is one of the Largest You'll Find With a Walk in Closet. There is an Attached 2 Car Garage With Direct Access into the House, Which has Also Been Newly Renovated with new paint, tile flooring & recessed lighting, and features a wide and long concrete driveway with room to park a boat or RV! House has a total of 3 Bedrooms, and 2 Bathrooms on a large 1,678sqft structure. You will Enjoy the Beautifully Landscaped Front and Back Yard With Nice Trees, Plants, and Nicely concreted exterior Flooring. This Pristine Move in Condition Gem Property Will not Last, Don't Miss This Opportunity!" "Huge Price reduction for Quick Sale!Don't miss out on this incredible opportunity!! 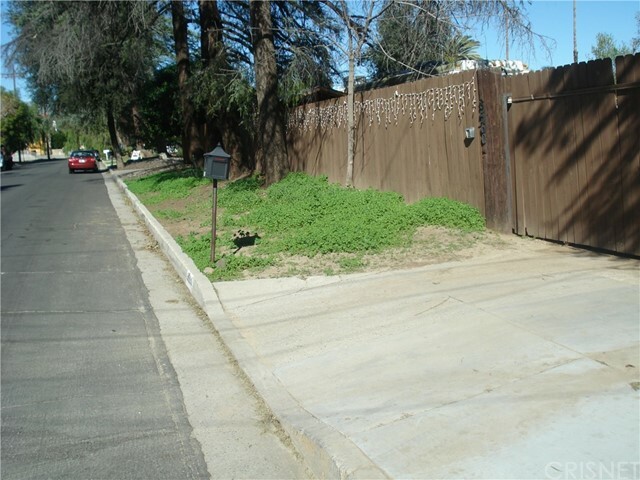 !This home has lots of potential and is located in a central area of Canoga Park, THE WARNER CENTER 2035 PROJECT!!! Woodland Hills adjacent, near The Village, Topanga Mall, stores, restaurants, and schools such as CSUN & Pierce College. With so many possibilities, this is a must see and will not last!! Beautifully updated, single story 4 bedroom 2 baths home ready to move-in! Brand new kitchen with tons of storage space, granite counter tops, recessed lighting, equipped with a stainless steel range, dishwasher, and microwave-hood that is open to the family room with a fireplace. Excellent floor plan! Newly Laminated Wood floor! Huge Lush backyard (9,240 sqft) with various fruit trees and a patio area that is perfect for anyone to design their dream entertaining area (room for a pool)! 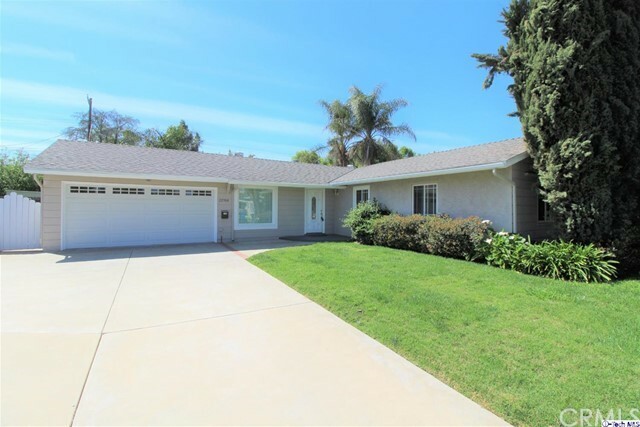 The private driveway and attached 2 car garage (new garage door with app to open garage from your phone)"
"Welcome home to this immaculate 4 bedroom, 3 bath single-family home in peaceful neighborhood of Canoga Park, featuring a spacious living space of 1,629 sq. ft. that sits on a generous lot of 6,750 sq. ft. A low-maintenance landscape welcomes you onto this beautifully renovated, crisp interior designs that truly brighten up this floor plan, with gorgeous brand new hardwood floors that extend to each room. The kitchen features brand new granite counter tops, brand new ample amounts of cabinetry, new stainless steel appliances and a separate large laundry room. The living room opens up freely into the kitchen with an easy flow into the family room and easy access to the huge backyard with it's own built in basketball court through sliding glass doors, perfect for entertaining your loved ones as you move freely from the kitchen to dining to living room. Home comes with 2 master bedrooms that are bright and airy with spacious closet spaces and brand new master bathrooms. The backyard is perfect for a growing family and year-round entertainment with a great balance of concrete space and grassy area with fencing for privacy. 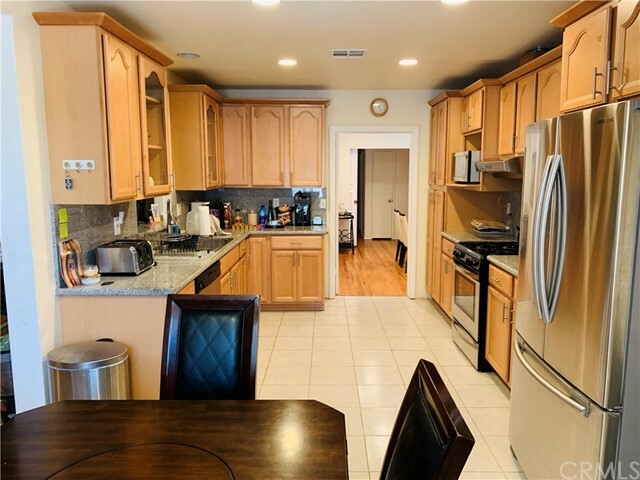 This property is located in a convenient location nearby entertainment such as Westfield Mall, The Village, AMC Promenade 16, and popular dining, as well as many schools for your little ones. 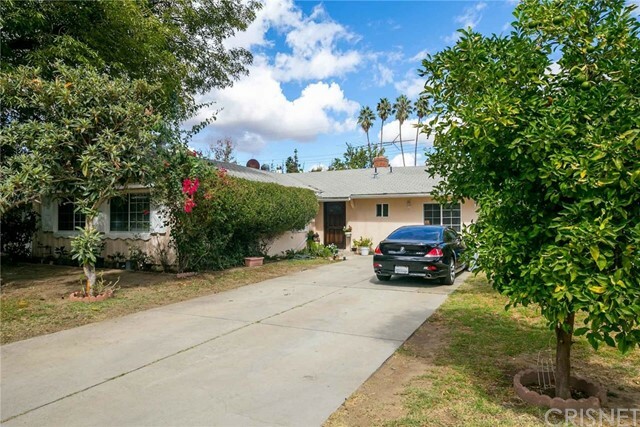 (Home is in final stages of being renovated, updated pictures will be uploaded soon)"
"Fantastic and large property with many upgrades in a quiet and nice pocket area of Canoga Park. ** The property features Large bedrooms , Large kitchen,Dining and living room** Light ,bright and open floor plan. ** Spacious kitchen with granite counter tops and many cabinet spaces**Newer quality roof** Dual pane windows**Newer Air conditioning**Copper plumbing** Spacious green backyard with surrounding block walls ** Cozy and open living room with a beautiful fireplace and recessed lights **Laminate and tiled flooring** Laundry room off the kitchen **Nice stucco on walls** Large driveway that leads to an attached two car garage **There is another room that can be used as 4th bedroom**This is a fantastic price for this spacious and lovely home. **An adult care facility is running on this property which is also for sale at $299,000 **The property is being sold under PROBATE sale with court confirmation required. *"
"Opportunity knocks! Perfect for first time buyers or investors! 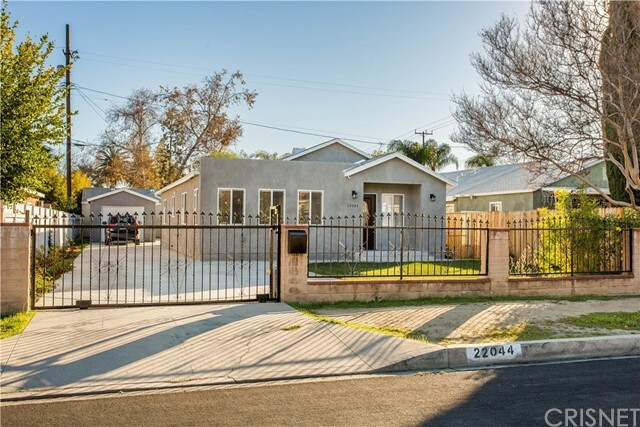 This 3 bedroom, 2 bath Canoga Park home offers a large open floor plan with laminated wood flooring throughout all main rooms - living room, family room, and bedrooms. Ceramic tile in kitchen & bathrooms. Large step down living room and step down family room with fireplace. Formal dining area & kitchen that opens to the family room and offers direct access to the 2 car garage. Large master suite with walk-in closet. Central A/C & heating. Large backyard with lots of potential! Don't miss!" "You'll love this charming 2 car attached single-story pool home that offers four bedrooms and two full baths, giving you 1700 ft. of generous space with hardwood flooring joining the living room and dining area with the cozy family room that invites you to enjoy a wood burning fireplace on cold winter nights. Prepare your meals in the galley style kitchen that feature granite countertops, beautiful fixtures, and upgraded appliances. Newly updated dual pane windows throughout help you realize plenty of natural light shining amidst the entire home. Enjoy our beautiful California weather by a sparkling pool surrounded by plenty of space to entertain family and friends. The assets of this beautiful family home that sits on a quiet tree lined street speak for itself. Within the community you will find relaxing parks, as well as many eateries and shops making life easy to navigate your daily needs. Will go fast!You won't want to miss this one!" "Attention All West Valley Buyers & Agents! Wait Till You See This Fantastic One Of A Kind Pool Home! Super Sharp Showplace! RV Access! Great Curb Appeal!! Rare Chance! Beautiful Floors! Perfect Move In Condition! Terrific Pride Of Ownership Neighborhood! Entertainers Dream Yard With Your Own Private Sparkling Pool! Outstanding Front & Rear Landscaping! Beautiful Floors! Excellent Floor Plan! Cooks Kitchen With Lots Of Storage & Breakfast Bar! Marvelous Master Suite! Den Or Office! Must See To Believe! Outstanding West Valley Location! Close To Everything! This Home & Yard Sells Itself! Solar System! If You Are Only Seeing One Wonderful West Valley Pool Home In The Price Range, Make Sure This Is It! Do Not Miss! Standard Sale! Must See! West Hills Canoga Park Living At Its Best!" "Dont miss this incredible opportunity to own 2 HOMES on the same lot. Each have separate addresses. Main house has been beautifully remodeled featuring 2 bedrooms and 1 bathroom just minutes from the Topanga Westfield Mall and the gorgeous outdoor Westfield Village! Highly desirable location with plenty of restaurants and entertainment near by! House features solar panels (included), gated driveway parking which can fit 4 cars, playhouse/studio area in backyard, newly upgraded patio covers, and brand new water-free artificial grass. In addition - there is a large 1 bedroom guest house with kitchen and bath. Guest house has separate address. Great home and great investment property for an area that continues to thrive! This home won't last long! Don't miss out!" 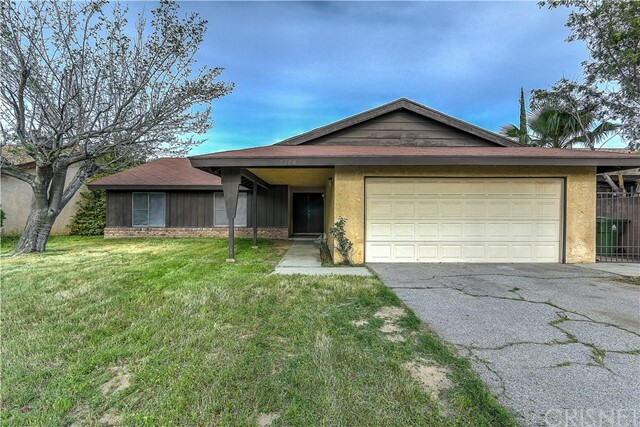 "21832 Bryant St. is a lovely 3 bed, 2 bath, 1,551 sqft home that sits on a massive 10,469 sqft lot with possible RV access. 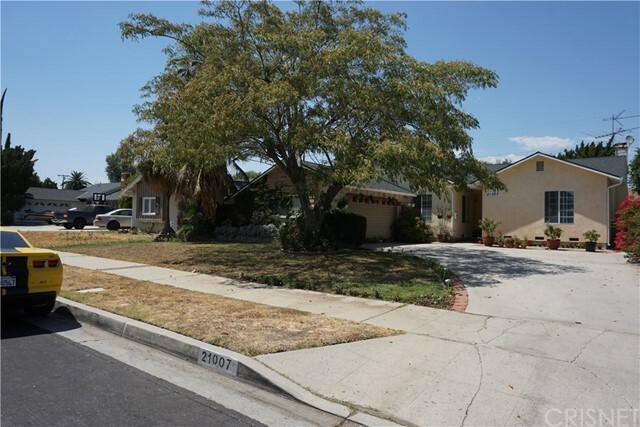 This welcoming single-story home is on a beautiful tree lined street in a quiet neighborhood in Canoga Park. This home has a dedicated master suite. It also has energy efficient windows, a 50-year roof installed only 7 years ago, a tankless hot water heater, and copper plumbing throughout. The home also features a spacious jacuzzi tub for relaxing with family and friends, and is close to shopping. This fantastic home will not last at this price!" "Nicely updated and well maintained home in the sought after Hidden Lake Community. 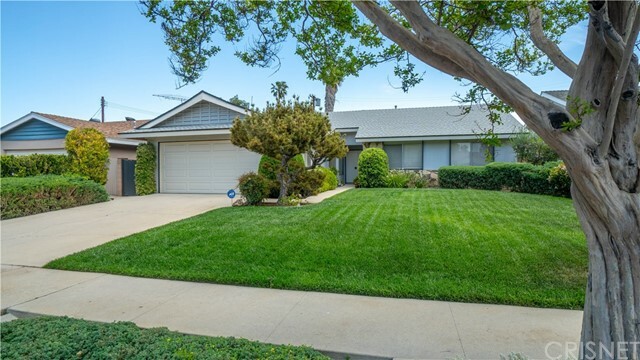 Well positioned on a cul-de-sac street next to the Chatsworth Reservoir, this charming home features an open floor plan, tile floors, and an updated kitchen. The great room encompasses the kitchen, dining, and den spaces, and also opens up to the backyard. The spacious master suite includes three closets and its own bathroom. Other features include an above ground hot tub in the backyard, a fireplace, and a generously sized two car garage. The Hidden Lake Community includes a gate guard, pool, tennis court, community room, and a picturesque lake. A great home in a desirable neighborhood!" "This beautiful home is nestled in a quiet neighborhood with much to offer. A little TLC with this excellent floor-plan will allow you to finally actualize your dream home. Huge driveway fits 4 cars comfortably! Warm & welcoming as you enter to the formal living room with a cozy fireplace. Lush backyard with various fruit trees. This home has a wide layout, making for a spacious living environment. By offering 5 bedrooms and 3 bath rooms, this house can accommodate all types of living conditions. This home also boasts a bonus room to be used as a home office or personal fitness room. This home is sold in as is condition." "Beautifully updated, single story 3 bedroom 2 bath home ready to move-in! Enter into the living room featuring a cozy decorative fireplace and large windows letting in lots of natural light. This house has been upgraded with laminate flooring in the common areas and carpet in the bedrooms. Updated kitchen featuring white shaker style cabinets with tons of storage space, quartz counter tops, recessed lighting and comes equipped with a stainless steel range, dishwasher and microwave-hood. Both bathrooms include a designer vanity with stone counter top, tile surround, fixtures, lighting and custom tile flooring. Other property features include a separate laundry area off the kitchen, ceiling fans equipped in each room and freshly painted exterior/interior. The private driveway and attached 2 car garage provide plenty of space for additional parking. Plus, the spacious backyard and patio area is a perfect blank slate for someone to design their dream entertaining area. This property won t last long. Come see it and make an offer while you can!" 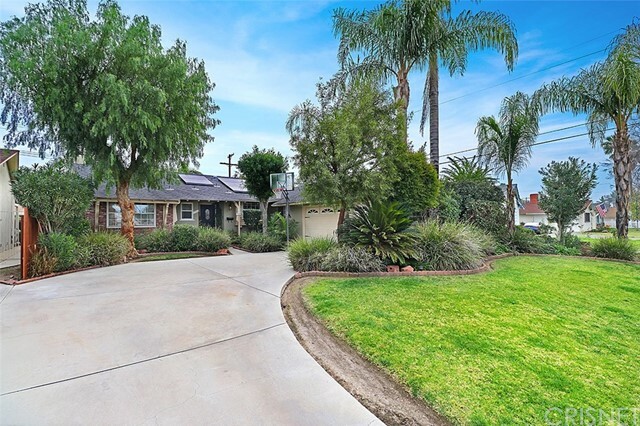 "Welcome to a charming 3 bed 2 bath centrally located Winnetka home featuring drought tolerant landscaping and beautiful flowers. The home's open floor plan boasts more than 1,500 sqft of living space flooded with natural light in every room. The recently updated home, including interior paint, has updated flooring spanning from the living room into the kitchen and dining room. The stunning massive island in the kitchen features an under mounted sink, bar seating, and soft close drawers and doors. The open concept and smooth ceilings provide a spacious feel and make the home a great place to entertain. Each bedroom features dual pane windows, recently resurfaced original hardwood floors, and built in storage organizers in the closets. The master bedroom has an updated en suite 3/4 bath and double doors leading to a beautiful backyard featuring a covered patio, a mixture of drought tolerant landscaping, flowers, and grass. Come take a look today and you're sure to feel right at home." "Endless possibilities for this lovely home in quiet cul-de-sac. Perfect for a homeowner looking to do cosmetic repairs and make a house their own. This home is over 1,700 square feet with 3 bedrooms, and 2 bathrooms. This home features a large living space with limitless potential. Master suite has ample space, vanity area and private bathroom. Property has upgraded electrical panel, cooper plumbing, newer main line, and newer roof and HVAC. Contact agent today to set up your private showing. This one will move fast."